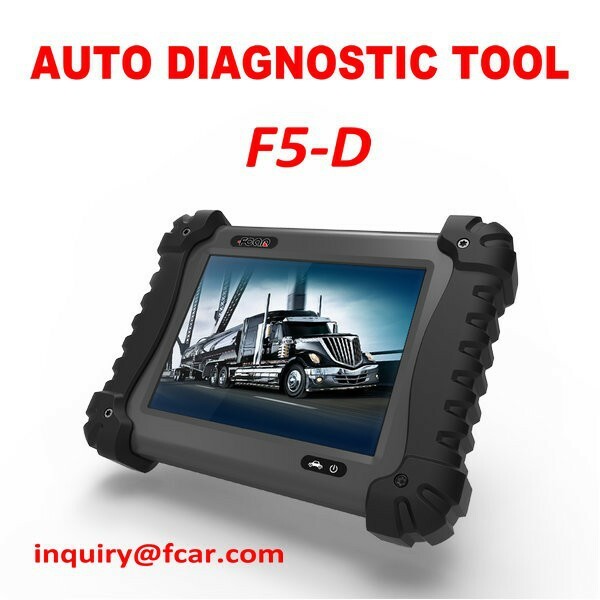 FCAR F5-D is the newest version of multi-functional intelligentized Truck Diagnostic Tool which is specialized to design for the diagnosis of diesel engine electronic control systems by FCar Company. Product is suitable for large and small maintenance business, training institutions, automobile manufacturers, repair stations, diesel Engine manufacturers, mining machinery, petrochemical energy enterprises and so on. 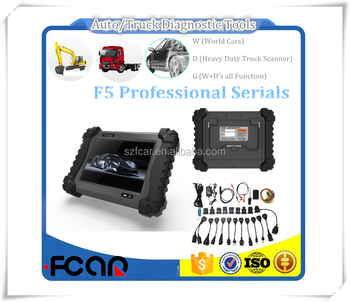 The truck diagnostic scanner adopts the advanced modular design technology which is capable of diagnosing and learning a variety of domestic, European, United States, Japanese and South Korean gasoline, diesel power system quickly and easily and is the most comprehensive testing system and testing models automotive fault diagnostic computer of world. It provides multi-language platform to meet different customers' demands. Products with integrated structural design, to achieve 12V, 24V power supply automatically changeover. single-track working mode and superlarge touch screen operation, exquisite look and so on, these special designs make you feel cozy and freely. 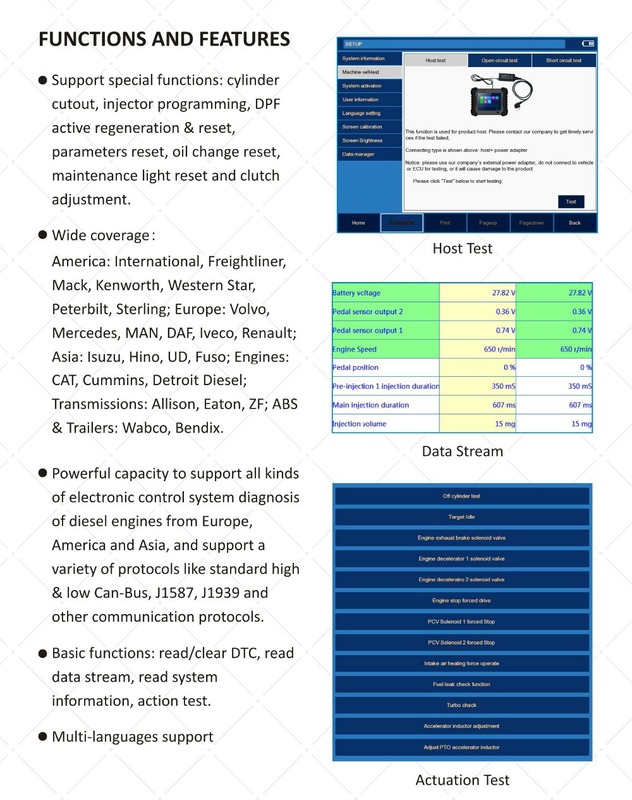 It adopts smooth features drive technology and has good extensibility, which not only satisfies for the modern vehicle ECU communication bus testing, but also the vehicles appearing in the future. 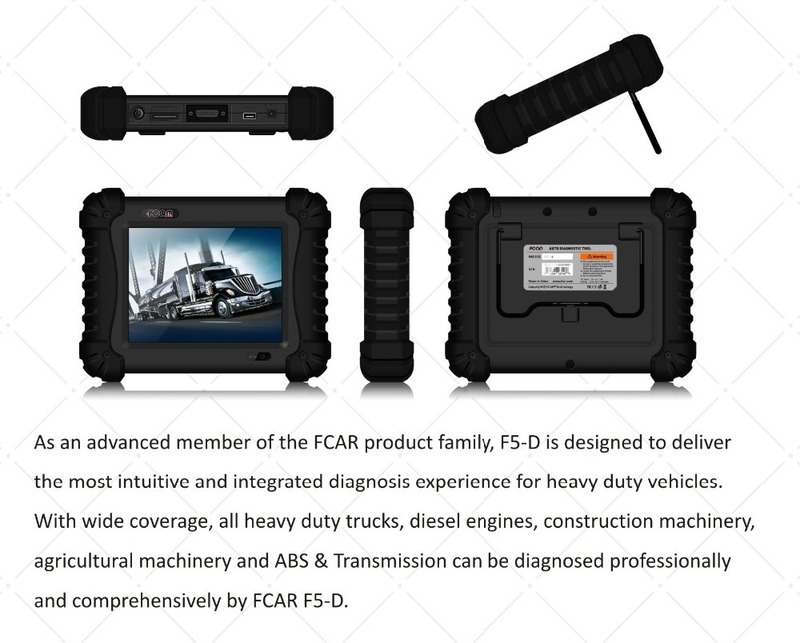 F5-D can diagnose all kinds of diesel control systems quickly and easily, especially available for China, Europe, America, Japan and Korea and so on, Build-in high/low speed CAN-Bus to satisfy all Can-Bus vehicles.